It's that time of the year when we reflect on the 12 months that just passed. The year brought much to be excited about: new exhibits, animal arrivals, animal rescues, special recognitions and productive research. 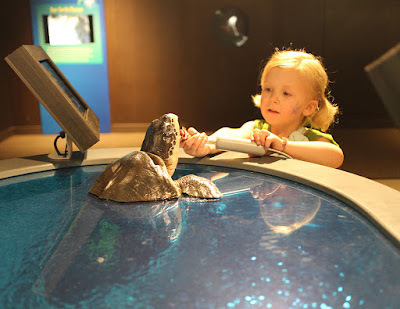 One of the most exciting additions to the Aquarium is the creation of the Sea Turtle Hospital exhibit. With interactive sea turtle replicas, informative videos and engaging displays, it brings the important work of our real-life animal rescuers to visitors on Central Wharf. This immersive sea turtle rescue experience was especially noteworthy debuting after our record-breaking sea turtle rescue season. On the other side of the planet, Aquarium researchers plunged into the Phoenix Islands Protected Area (PIPA) during an epic El Niño year. 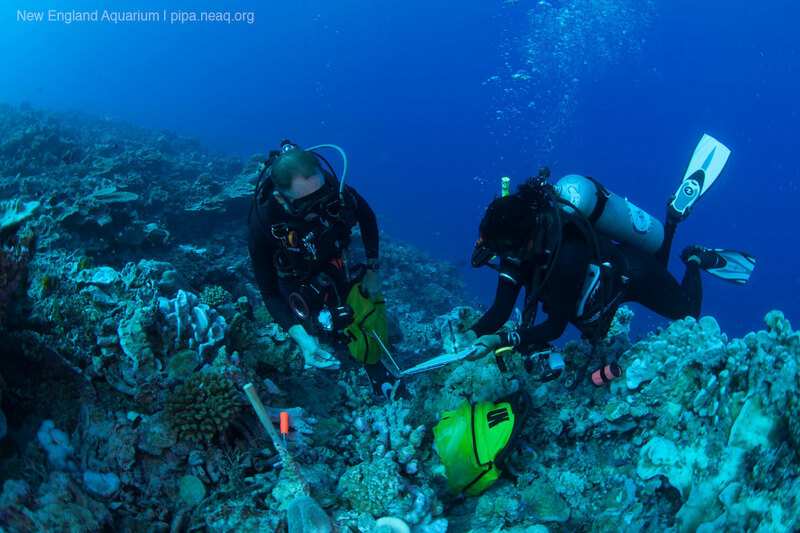 Scientists conducted long-planned research and surveys while also looking for signs of coral bleaching amid warming ocean temperatures. The 2015 expedition was documented through many different voices on the PIPA Blog. We also welcomed a new arrival—a hulking, hairy new arrival. Commander the adult male fur seal joined fellow fur seals Ursula, Kitovi, Chiidax and the rowdy sea lions Zoe and Sierra. 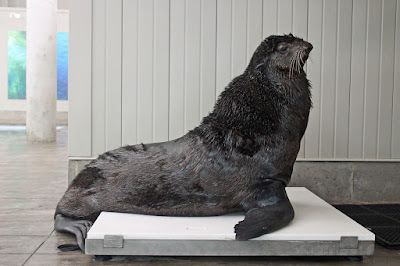 Look for him in the New Balance Foundation Marine Mammal Center. The big fella is hard to miss! 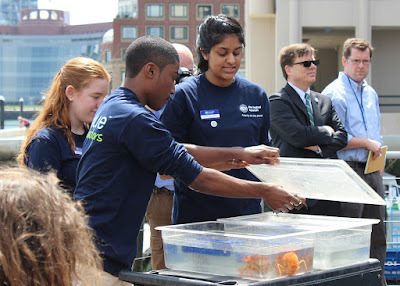 In the special recognition department, the Aquarium received a Greenovate Boston Award in community leadership for our climate change education efforts, both locally and nationally. One of the projects that was recognized is the National Network for Ocean and Climate Change Interpretation (NNOCCI). We head up a group of eight partners and 100 participating organizations in 30 states with the goal of influencing climate change education at science centers around the country. In addition, our new ClimaTeens group helps local young people develop the skills to communicate effectively about climate change in their communities. 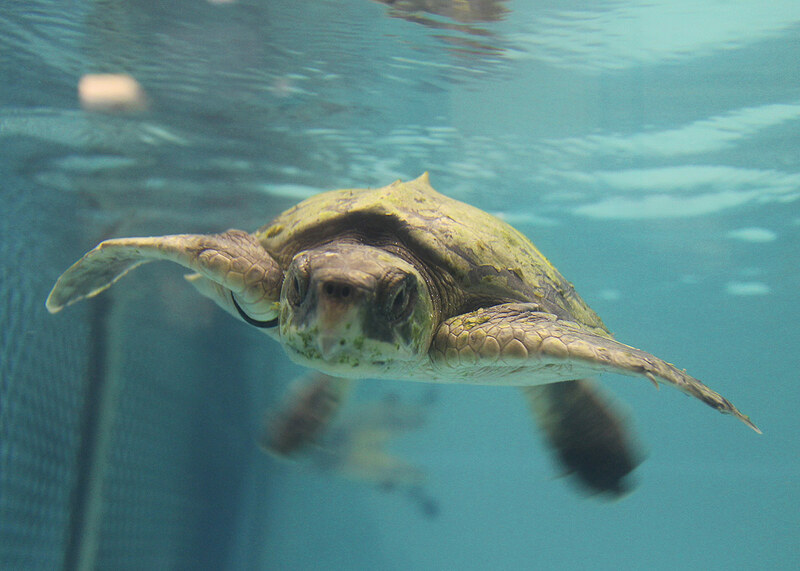 Aquarium rescuers are in the midst of another busy sea turtle stranding season—already the second largest in our record books with more than 280 turtles. This year is shaping up to be quite unusual given the warm temperatures and large numbers of turtles still washing up this late in the year. It remains to be seen how many turtles we will treat this year, but our rescuers won't stop until the last turtle is released back into the ocean months from now. We're saving a species, after all! Researcher Emily Jones does a visual inspection of a recently-hooked fish before its release. On the research front, the discard mortality work of John Mandelman, PhD, recently made some news. His team of researchers has been collaborating with recreational fishermen to examine how many codfish actually survive when they are caught and returned to the water. 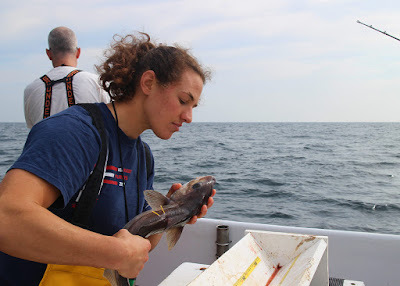 The Atlantic cod (Gadus morhua) population in the Gulf of Maine is currently struggling to recover from historic lows and Mandelman's research will help set targets that are grounded in science. Future studies will focus on other fish frequently caught by recreational fishermen: haddock and cusk. 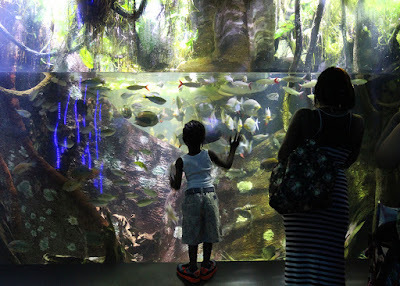 In 2015, Aquarium programs continue to span the blue planet and the Aquarium community is united in our quest to explore, share, learn and inspire. We engage families on Central Wharf with important conservation stories and intimate moments spent with amazing aquatic animals. We work with young people here and in communities across the country to spark constructive conversations about climate change. We have scientists on the water around the world exploring and studying issues from ecosystem change to human impacts to endangered species survival. We are working diligently to give many of those endangered species a fighting chance. Yup, 2015 was a good year.